^ Maslin, Janet. 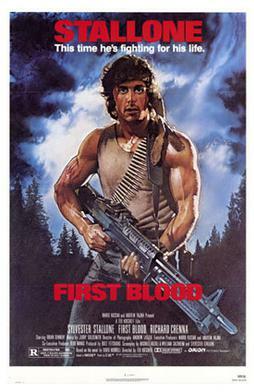 FILM VIEW; MOVIE BLOODLINES LEAD TO RAMBO'S CHILDREN. The New York Times. March 1, 1987 [2010-08-10]. ^ Rambo's Right-wing Revisions. The Los Angeles Times. [2010-12-30]. ^ The 50 Greatest Heroes and the 50 Greatest Villains of All Time: The 400 Nominated Characters (PDF). afi.com. [2010-05-21].